British manufacturer Jaguar has unveiled the XE, an executive saloon it hopes will challenge the BMW 3 Series and Audi A4’s dominance of the market. The car is all new, with the sleek and conservative design befitting the class it finds itself in. It also features a stiff all-aluminium chassis and promises a dynamic, precise drive. A range of five engines is available to achieve this, including a 2-litre 161bhp diesel likely to be the most popular, and a supercharged 3-litre V6 offering in the XE S model. There will be five trims on offer starting with the entry-level SE, then moving up to the Prestige, and the Portfolio sits mid-range with a focus more on luxury than sportiness. Next up is the R Sport with the high-performance S being the range topper. The diesel engine is also highly efficient, promising 75mpg and just 99g/km of CO2, putting it into £0 VED band. Jaguar intends the XE to become popular with company car drivers too though - the low CO2 emissions helping to keep company car tax realistic. Jaguar is hoping that it's R Sport trim level will resonate most with company car drivers and in particular the R Sport 320d. This model should deliver not only the dynamic looks and drive, but a competitve company car tax bill thanks to CO2 emissions likely to be pegged at the low 99g/km. Alongside the low running costs, service intervals are high and the car has been constructed in a modular fashion to make it easy to fix. Jaguar are also fixed-cost servicing plans for 50k and 75k, which are designed to appeal to retail buyers and reassure fleet managers of the XE's competitive whole life costs. Another hint that Jag hopes the XE can confidently bring the fight to the dominant compact executive saloons is the inclusion of a six-speed gearbox. If a stick isn’t to your taste, an eight-speed ZF manual will also be available. Jaguar is touting this as the best drivers' car in the class, a bold claim given the proven excellence of the BMW 3 Series. It will feature adaptive driving modes, speed-sensitive steering and Jag’s advanced traction control system; but until a test drive, its hard to know how the car will measure up to rivals in the class. Deliveries are scheduled to begin in May 2015, with prices from £27,000. 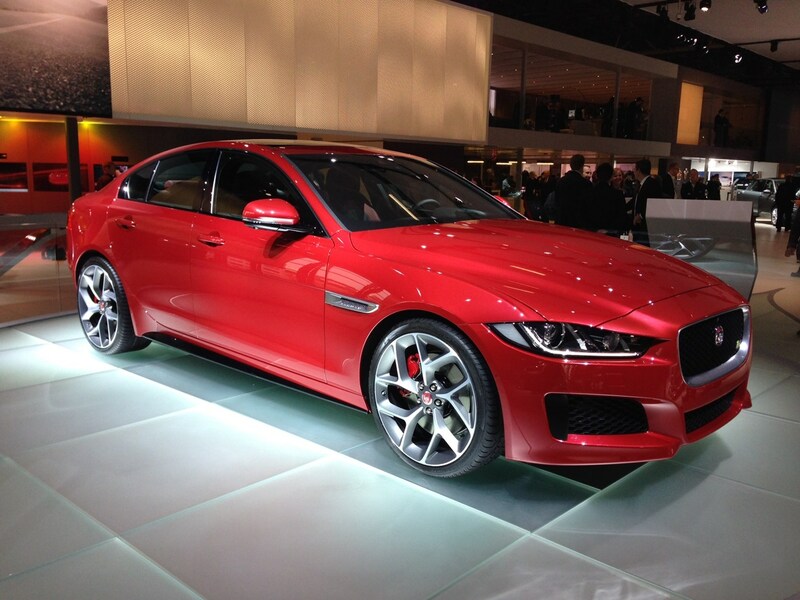 Read more about the Jaguar XE in our preview article. 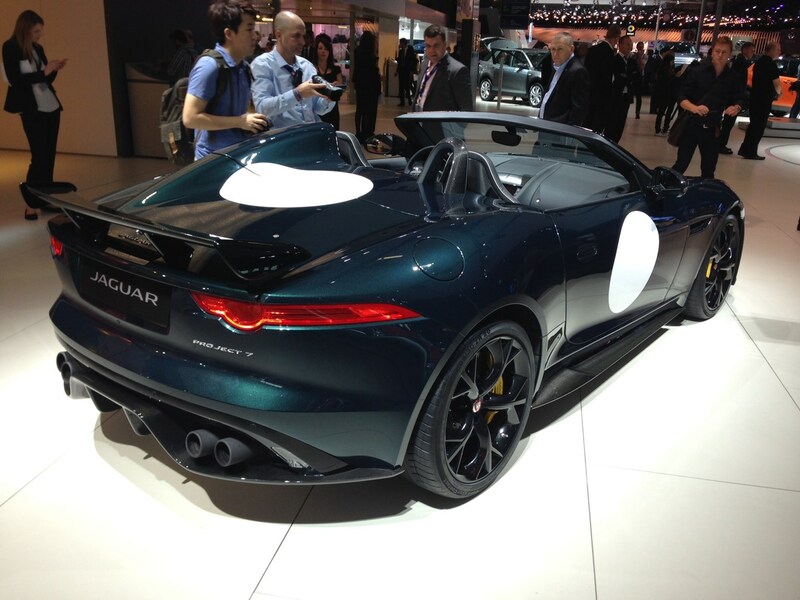 The Project 7 is an F-Type Convertible that's been modified to better reflect Jaguar's illustrious racing history. It uses a 5-litre supercharged V8 petrol engine with 568bhp - meaning it's the most powerful Jaguar ever. Only 250 examples will be built, each with a lightweight aluminium body and the best bits from the F-Type parts bin.